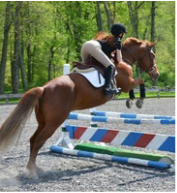 JT Farm offers the finest in boarding, training, riding, showing and a quality lesson program. Whether you're an established competitor or just learning to ride, JT Farm has a program for you. We offer the finest quality care for your horse. Each of our grooms assures personal attention to your equine partner. Our stalls are large, cleaned twice daily, and we offer numerous grass and sand paddocks for turnout. We offer a wonderful lesson program that provides training in Equitation, Hunters and Jumpers for all ages and all levels of ability. Lessons are open to the public, and our wide range safe, quality school ponies and horses and top-level instruction assures that you'll learn and have fun. We compete at the nicest A-rated horse shows, from Vermont in the summer to Florida in the winter, as well as the smaller, local rated shows. Enjoy the thrill and excitement of showing with us—and winning! 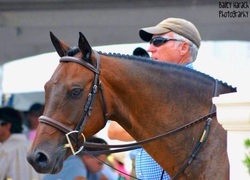 We train young and green horses to be successful in the show ring, and our horses regularly campaign and qualify for the East Coast fall indoor shows, Devon and other major championships. Train with us to achieve your goals! 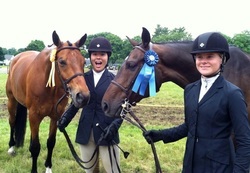 We take pride in developing students who appreciate the horses, the sport and each other. At JT Farm, we work together as a team. As a result, lasting friendships are made, and working with horses instills dedication and responsibility—key life skills. We provide fun! Whether it be hacking out with your friends in the field, supporting each other at shows or learning a new riding skill, we always want you leaving with a smile on your face. Come join us at JT Farm, and we promise you'll enjoy every moment!